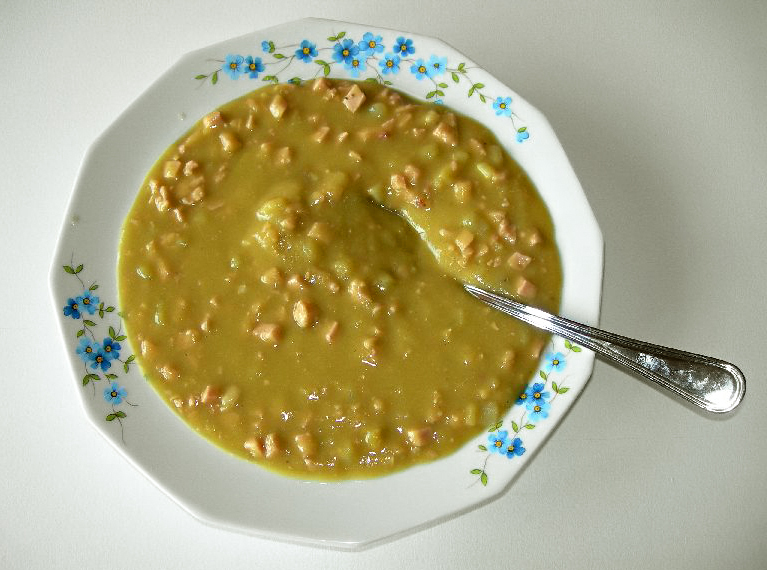 Pea soup is a common dish throughout Germany. It often contains meat such as bacon, sausage or Kassler (pickled and smoked pork) depending on regional preferences. Very often, several Würste (Wurst meaning sausage) will accompany a serving of pea soup as well as some dark bread. Ready-made soup in cans is sometimes used to prepare the dish. One of the very first instant products was a pea soup product, which mainly consisted of pea meal and beef fat ("Erbswurst": pea sausage). It was invented in 1867 by Johann Heinrich Grüneberg, who sold the recipe to the Prussian state. When the Franco-Prussian War broke out, the war ministry, which had previously tested the possibility of feeding soldiers solely on instant pea soup and bread, built a large manufacturing plant and produced between 4,000 and 5,000 tons of Erbswurst for the army during the war. In 1889, the Knorr instant-food company bought the license. 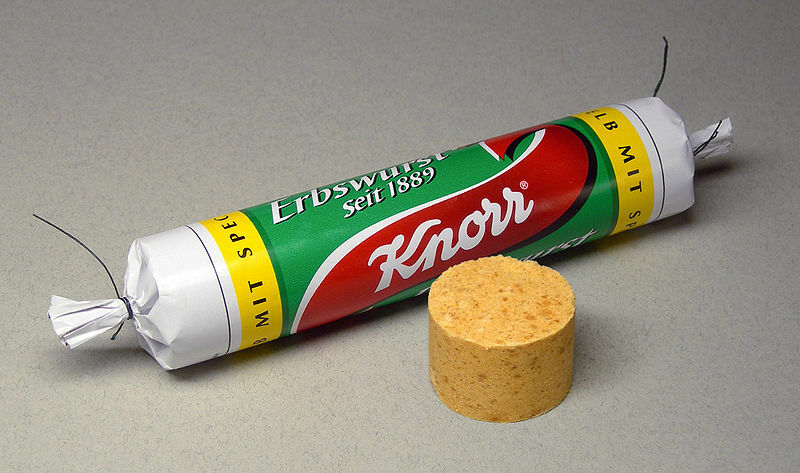 Knorr, which is today a Unilever brand, continues the production of Erbswurst to the present day. Left: Erbswurst, a traditional instant pea soup from Germany. For other types of pea soup see Erwtensoep (Dutch pea soup) and Finnish pea soup.